I completely understand you, i am proud to say my son will be turning three soon and his party theme is tom and jerry :) we grew up watching all this and we are completely normal people! 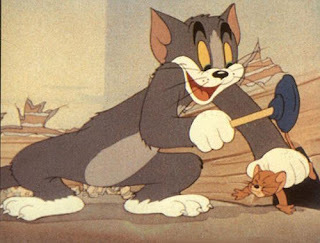 Its the kids today that weird me out..ive been showing my son the vintage tom and jerry (ive NEVER seen the new ones, ive heard they talk ) im looking foreward to collect everything . I didnt know just how much they were keeping the vintage from kids!